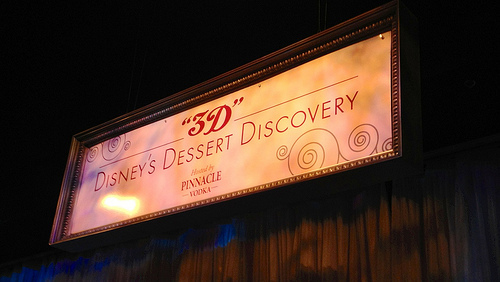 More white food than I’ve seen in forever – Disney’s 3D Dessert Discovery, originally uploaded by Erin *~*~*. 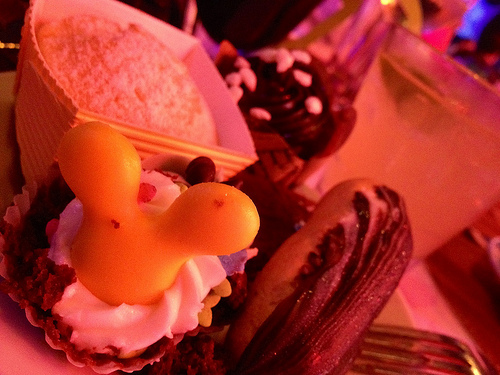 3D Dessert party at EPCOT, originally uploaded by Erin *~*~*. 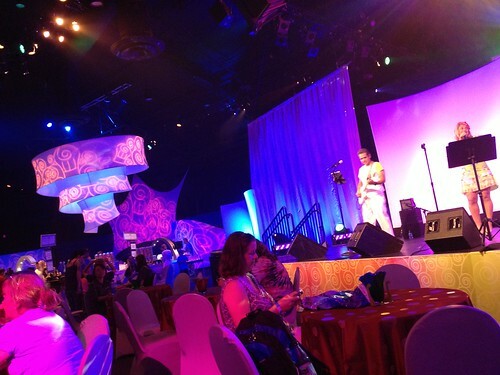 There’s a live band and they are playing confection-inspired ditties such as "Peppermint Twist"
Disney’s Dessert Discovery "3D", originally uploaded by Erin *~*~*. We have our bracelets and we ave our 3D glasses. We are ready to rock some serious caloric intake. My brother is da bomb. Twilight descends upon the World Showcase, originally uploaded by Erin *~*~*. It’s getting spooky, what with the dramatic skies and high winds. 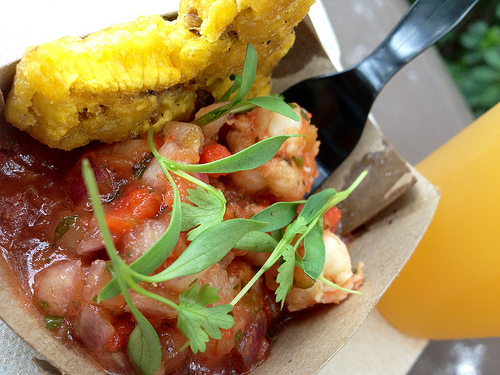 We are off to a Food and Wine Festival treat…. Mysterious Moroccan, originally uploaded by Erin *~*~*. Rainbow over America, originally uploaded by Erin *~*~*. 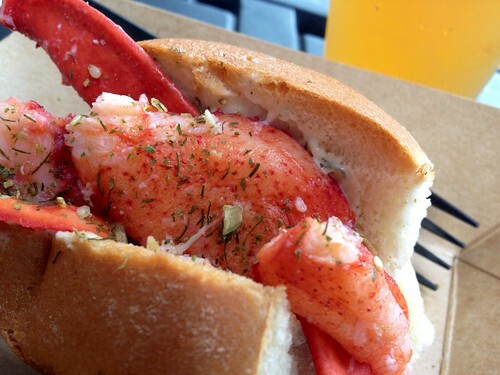 Lobstah roll and Sistah Hazel, originally uploaded by Erin *~*~*. The American Adventure (Advenchah?) holds wonders! Oh and that’s a Sam Adams Cherry Wheat beeah. Pit stop in Japan, originally uploaded by Erin *~*~*. I needed to slow down the wine sampling a little so I took a turn through the Japan merchandise area. Still very windy, but delightfully so. I may go in search of a Mickey-on-a-stick ! 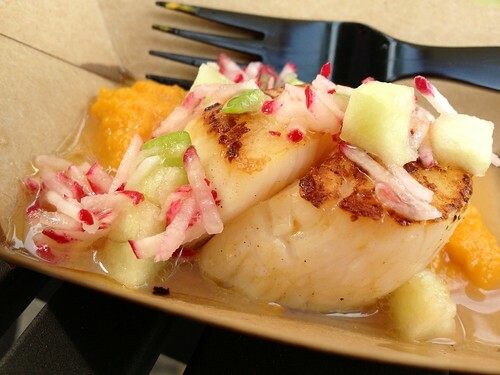 Maui Mahi from the Singapore kiosk at EPCOT, originally uploaded by Erin *~*~*. The fish and rice are citrusy and flavorful. 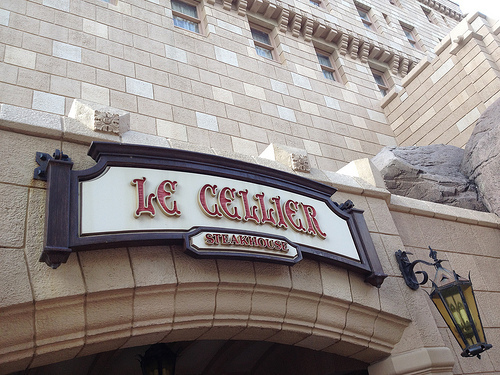 I am told by the Cast Member serving that the wine is French, and that there is a large French colony in Singapore. It’s a bit on the sweet side for me. 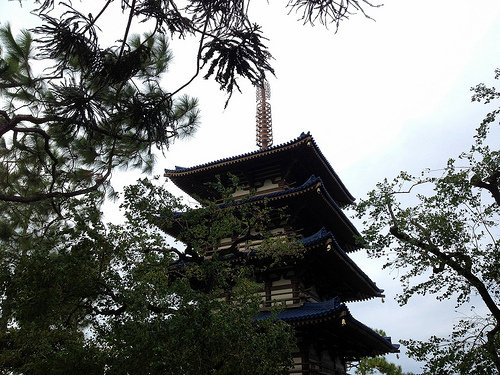 I am holed up an an alcove under the terrace in Japan – the wind from Hurricane Sandy’s outer bands has really picked up and there’s some shelter to be had back here. Re-living New Zealand at EPCOT, originally uploaded by Erin *~*~*. I liked the scallops so much, I came back for them three weeks later. The family is at Chefs De France, but I prefer to graze. What shall I have next? Big bubbly at EPCOT, originally uploaded by Erin *~*~*. I think his would make a terrific framed poster, don’t you? All in the family at EPCOT, originally uploaded by Erin *~*~*. 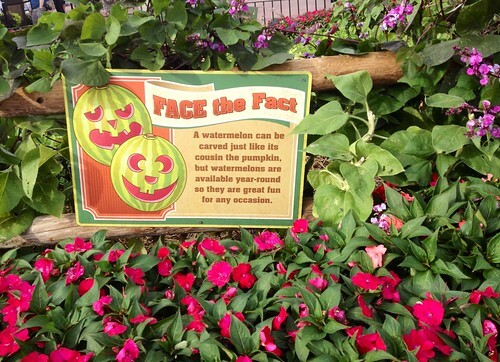 It is odd to think of jack-o-lanterns being related to watermelons – but after all, they are both carved into beautiful works of food sculpture, so why not? 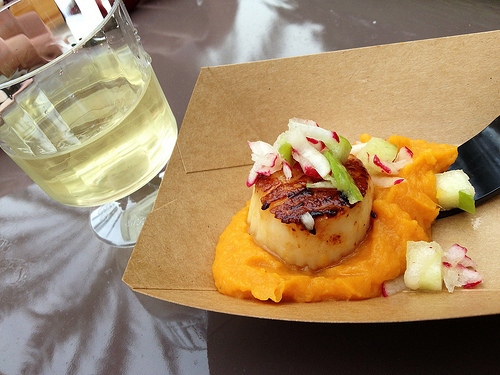 This is what Food and Wine Festival is all about, originally uploaded by Erin *~*~*. 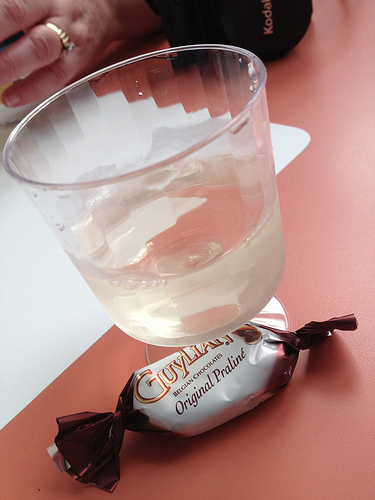 Wine and chocolate – that’s what I’m talking about! 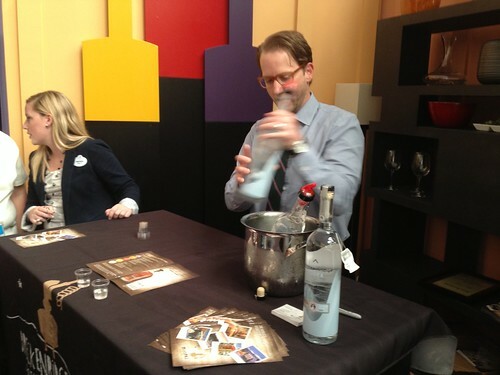 Vodka tasting at the EPCOT Festival Center, originally uploaded by Erin *~*~*. Breckenridge vodka – nice amount of fire going down, clean after-taste. Walt wisdom, originally uploaded by Erin *~*~*. 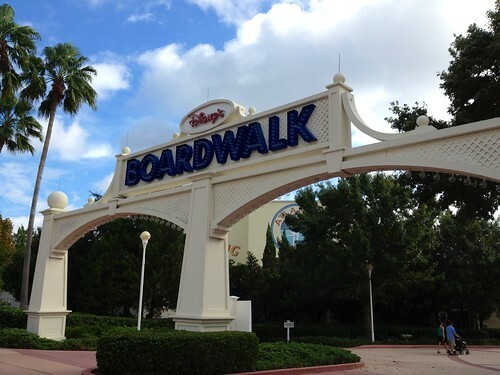 Love all the refurb signs with pearls from Walt. This is near Electric Umbrella. I would like to live here, please, originally uploaded by Erin *~*~*. Imagine if you could always see the sky from inside the house! It would be like living in the Great Hall at Hogwarts. Oops, wrong park! Lunch? Why yes, yes I think I might, originally uploaded by Erin *~*~*. The filet looks REALLY good and it has been a long time since I’ve had read meat…. 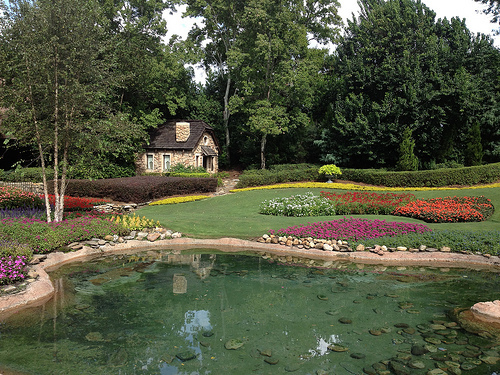 Cottage-envy at EPCOT, originally uploaded by Erin *~*~*. We love this little cottage in O Canada – I want them to rent it to me for just one night! 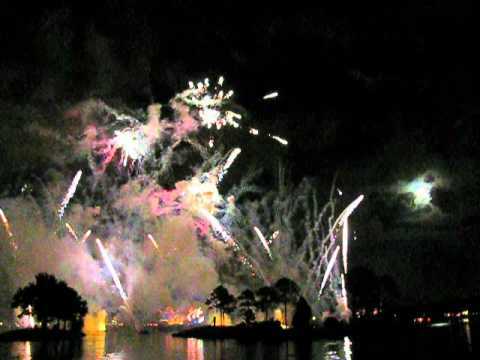 A special edition of ILLUMINATIONS: REFLECTIONS OF EARTH was presented at EPCOT in Walt Disney World on the evening of that theme park’s 30the anniversary on October 1st 2012. Here is some really, REALLY primitive video of the event. The show ran 18 minutes long with the extra tribute fireworks, which reverberated in the ears and chest, and scared the heck out of the local flock of ducks (at about 17 minutes, 41 seconds, you’ll see a few of them leaving). We had the EXCELLENT harvest moon alongside the show too, dancing in and out of clouds that flashed frequently with heat lightning. It was nice of Disney to arrange that for us 😉 Hope you all enjoy. Subscribers – if you do not see a video below this sentence, please click through to the blog. 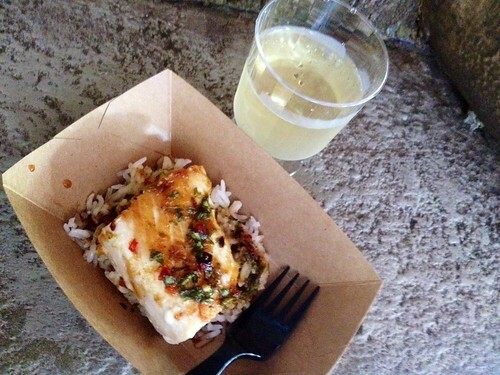 Vegan options at EPCOT’s Food and Wine Festival, originally uploaded by Erin *~*~*. I had the "chicken" yesterday – it was actually not bad! 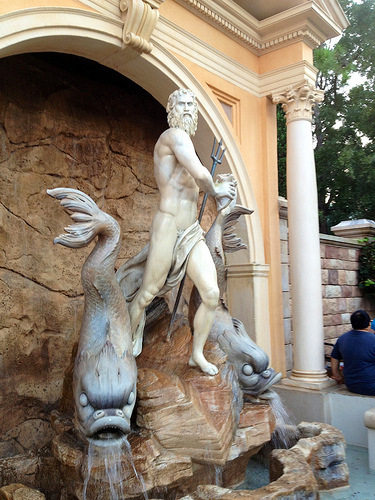 Unlocking a Norwegian mystery in EPCOT, originally uploaded by Erin *~*~*. 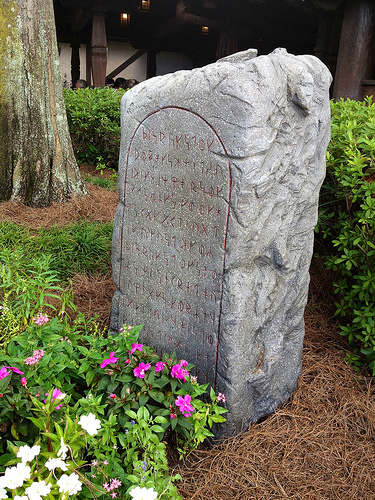 As I exited the stave church in EPCOT’s Norway, this rune stone began to sputter and glow! 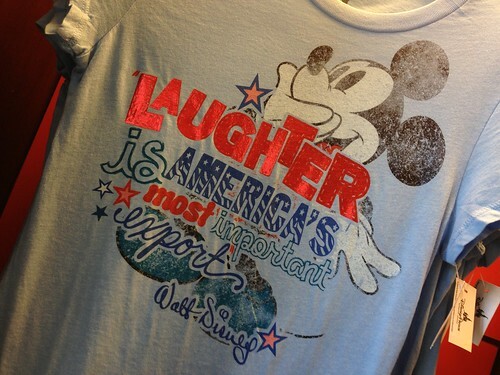 T-shirt from American Adventure, originally uploaded by Erin *~*~*. Laugh and the world laughs with you! 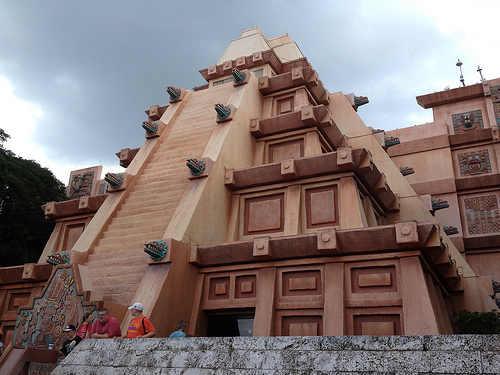 Go to the My Mobile Adventures Facebook page for a brief video from American Adventure in EPCOT. 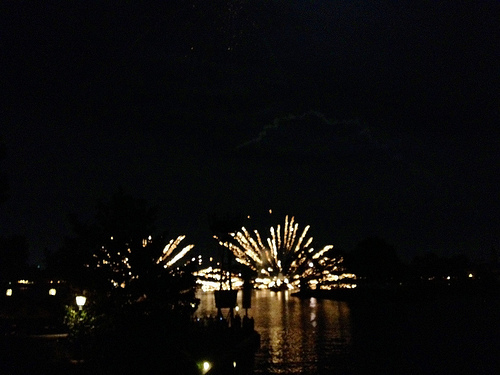 From the Florida Local kiosk at EPCOT, originally uploaded by Erin *~*~*. 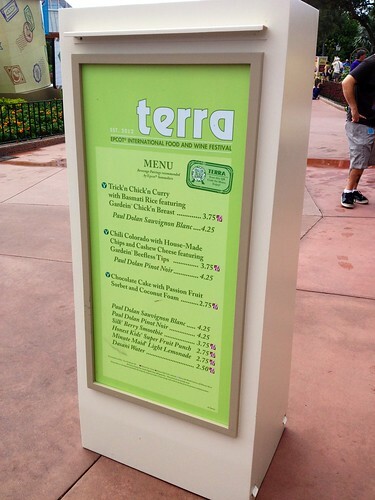 The Food and Wine Festival at EPCOT has installed a Florida Local kiosk right beside American Adventure. Management is giving them an award at moment and videoing it. The guys at the Florida Local kiosk are really nice and friendly. Drop by if you are in the area! 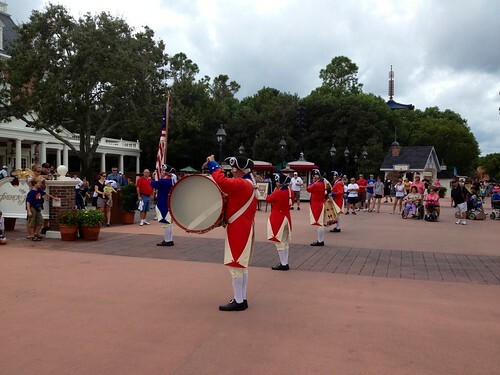 Fife and drum corps – American Adventure, originally uploaded by Erin *~*~*. We just had ravioli in Italy and something in Poland – walking a friend back to International Gateway. 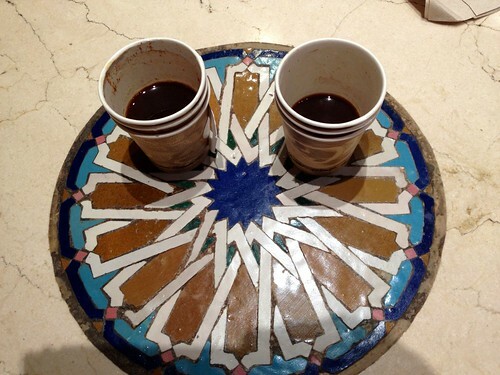 Hidden Mickey in Morocco, originally uploaded by Erin *~*~*. 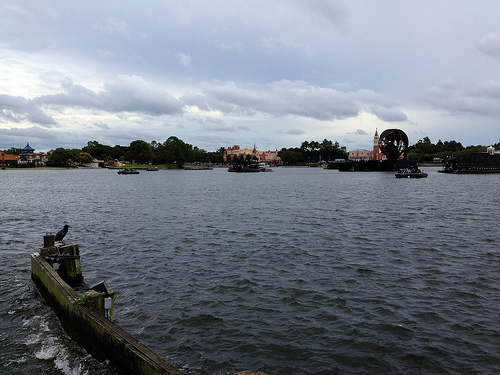 A cormorant poses in World Showcase, originally uploaded by Erin *~*~*. Second time ever, taking the boat across. This time, were headed to Morocco. 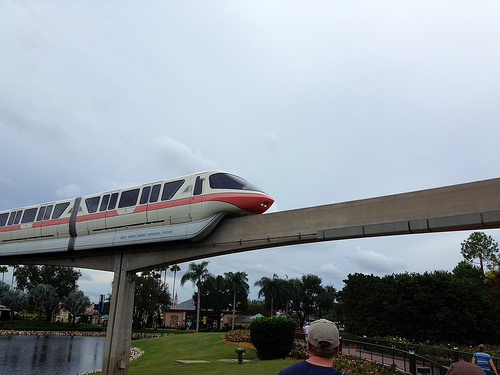 Gratuitous monorail shot, originally uploaded by Erin *~*~*. 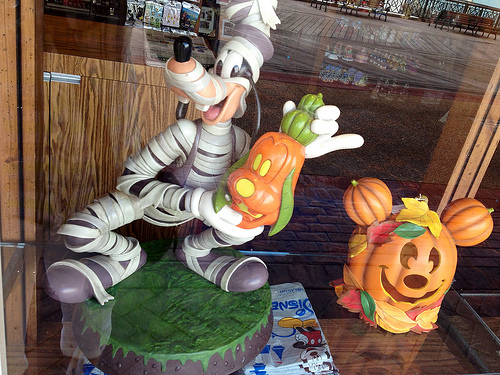 Halloween deco on Disney’s Boardwalk, originally uploaded by Erin *~*~*. In search of coffee at Walt Disney World, originally uploaded by Erin *~*~*. Good night, Boardwalk, originally uploaded by Erin *~*~*. Another terrific day hanging out with friends – so lucky 😉 Good night, everyone! 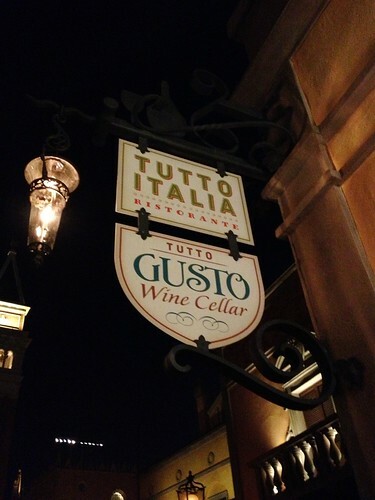 Exiting Tutto Gusto, originally uploaded by Erin *~*~*. 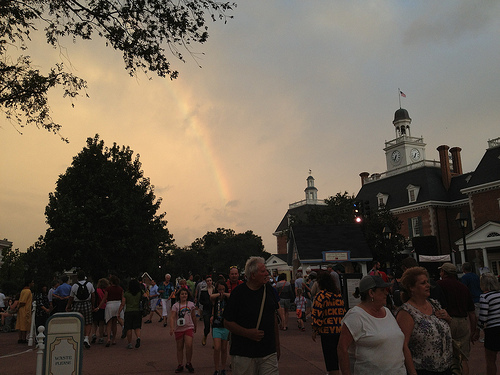 We can hear Sugar Ray playing from American Adventure. 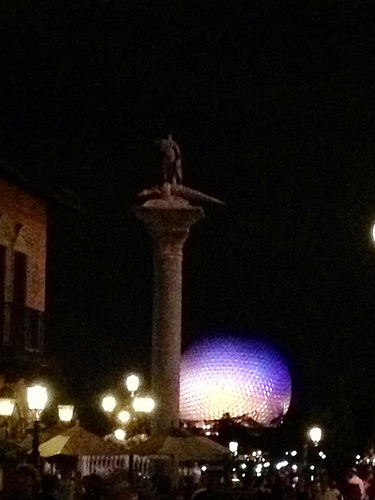 Going to find a spot for the special Illuminations show in honor of EPCOT’s 30th Anniversary. 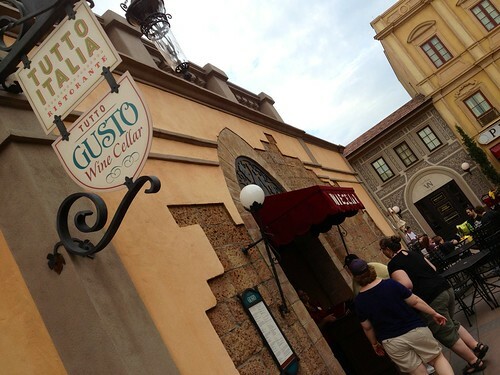 Tutto Gusto theming, originally uploaded by Erin *~*~*. 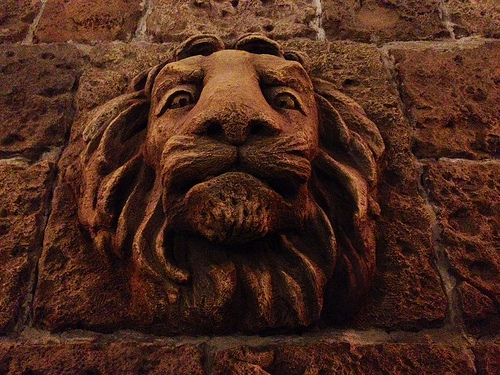 We are at a table by the kitchen, and his lion is on the wall. We’re baaaaack, originally uploaded by Erin *~*~*. We liked I so much for lunch, were back for dinner! 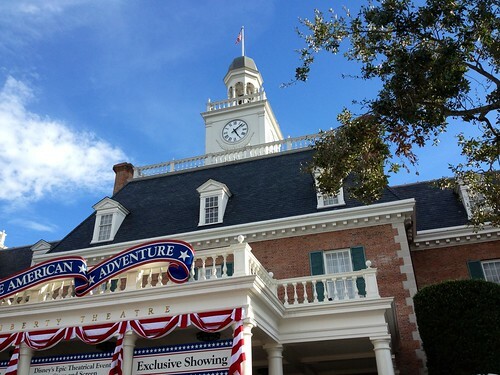 The American Adventure – promised land, originally uploaded by Erin *~*~*. We know our reward for marching up here will be AIR CONDITIONING! 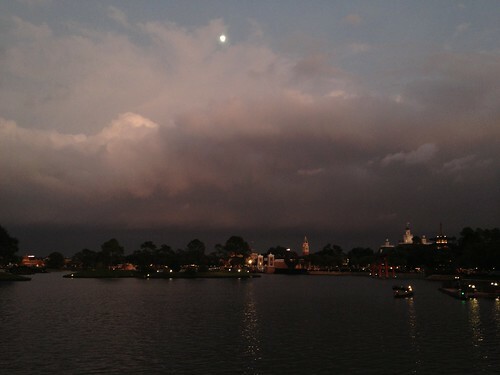 The view from Belgium in EPCOT, originally uploaded by Erin *~*~*. 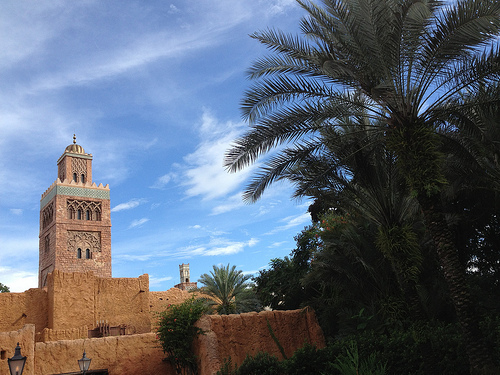 Morocco looks gorgeous against the amazing blue Florida sky. It’s really humid but we found some shade. The scallops from New Zealand, originally uploaded by Erin *~*~*. WELL worth it! Wish this was available as a full meal. Had the Chardonnay too. 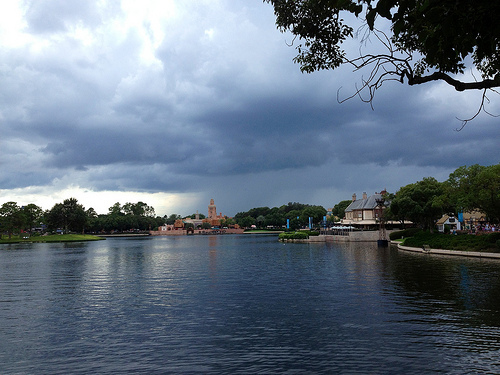 Weather coming into EPCOT, originally uploaded by Erin *~*~*. Read and heed in EPCOT, originally uploaded by Erin *~*~*. I’ll spare you the lecture. 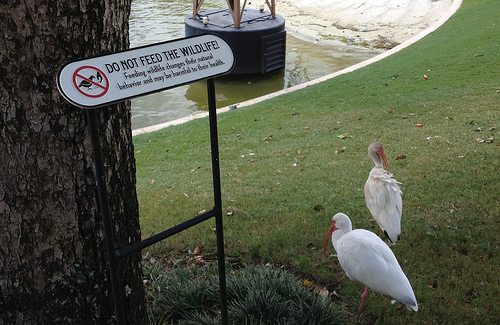 Just don’t feed the animals ok? Thanks! Where art thou, Duffy?, originally uploaded by Erin *~*~*. 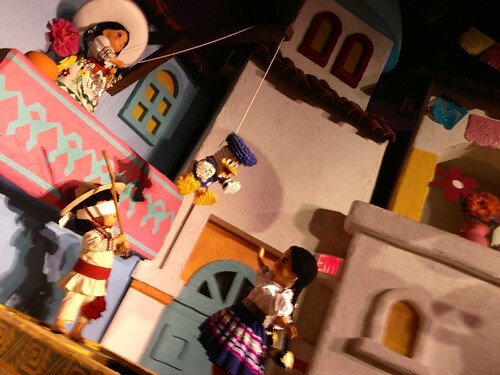 Brutalizing Donald Duck, originally uploaded by Erin *~*~*. This is just so wrong! 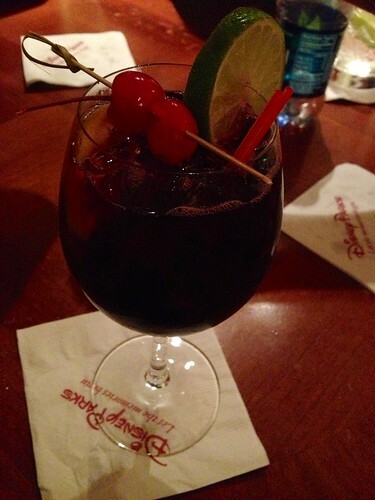 Heading into La Cava, originally uploaded by Erin *~*~*. No, don’t try to stop us! 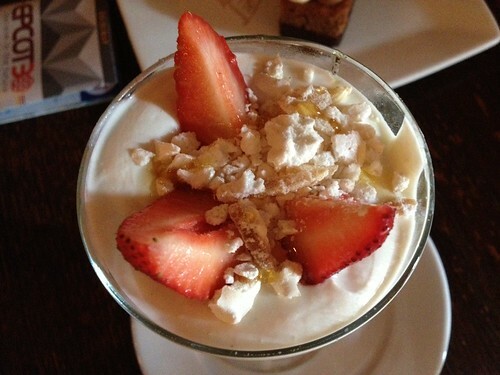 Strawberry ricotta dessert at Tutto Gusto, originally uploaded by Erin *~*~*. Dessert at Il Gusto, originally uploaded by Erin *~*~*. 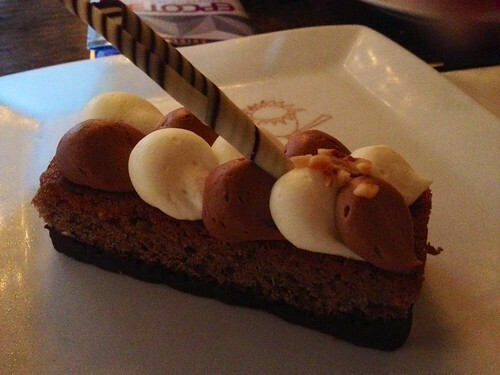 This is the hazelnut polenta Nutella torte thing. TO DIE FOR. 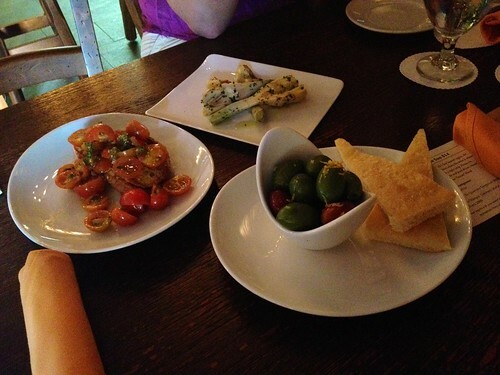 Gusto plates in EPCOT, originally uploaded by Erin *~*~*. 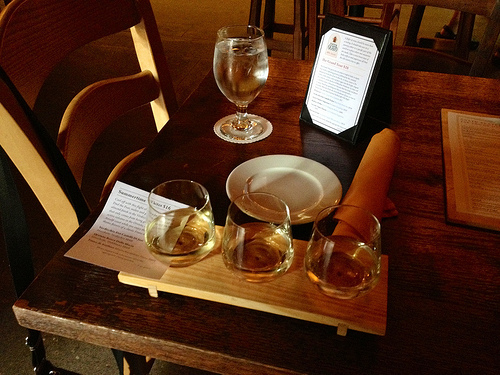 Wine flights at Tutto Gusto in EPCOT, originally uploaded by Erin *~*~*. Framed by the Friendship boat, originally uploaded by Erin *~*~*. Happy Birthday. EPCOT!, originally uploaded by Erin *~*~*. 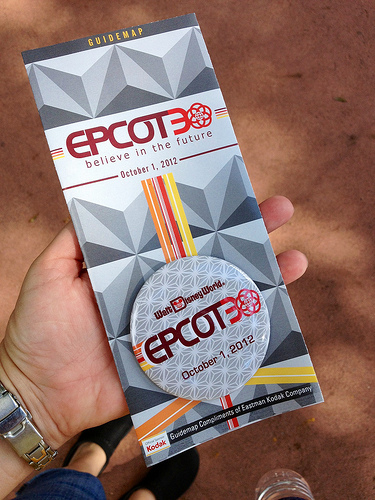 Handing out maps and buttons at the International Gateway – EPCOT is 30 years old today! Bellvue Room, originally uploaded by Erin *~*~*. 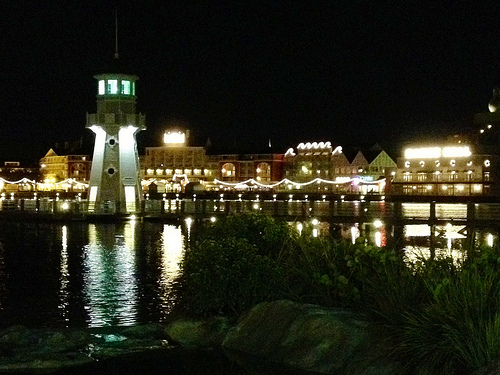 Late night illuminations, originally uploaded by Erin *~*~*. We’re standing in France to view the 10 PM presentation of Illuminations. Monday’s lunch will be here, originally uploaded by Erin *~*~*. Italian tapas- like plates, and the desserts look to die for. The saddest sight in the world, originally uploaded by Erin *~*~*. 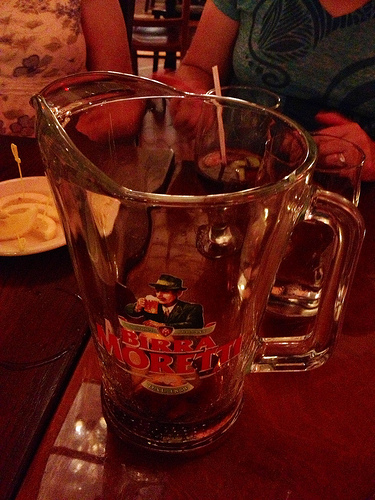 Empty sangria pitcher at Via Napoli in EPCOT. Awesome meal ! 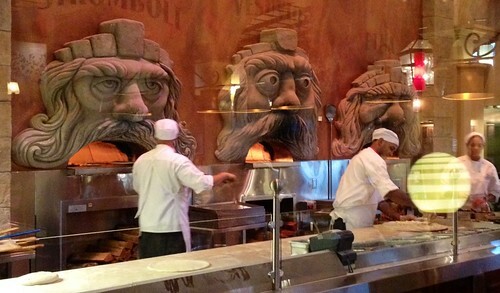 Open wide at EPCOT’s Via Napoli, originally uploaded by Erin *~*~*. Shelling at Via Napoli, originally uploaded by Erin *~*~*. My favorite Disney Princess, originally uploaded by Erin *~*~*. 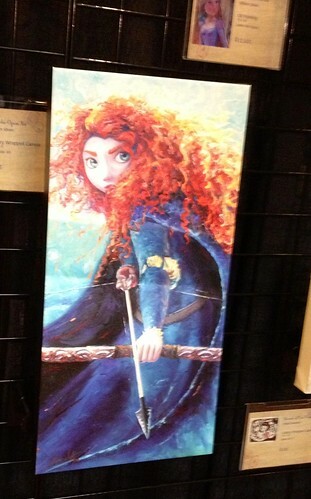 I love Merida because she does not believe she is helpless, and she is not single-mindlessly pursuing a prince. She knows how to be happy into herself. 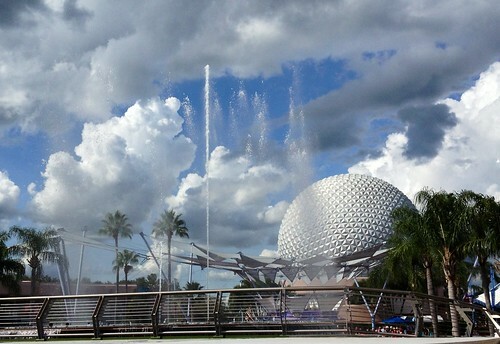 EPCOT’s Fountain of Nations does a dance, originally uploaded by Erin *~*~*. Going to duck into MouseGear to get to Festival Center. Have I mentioned that it is HE’LL hot? 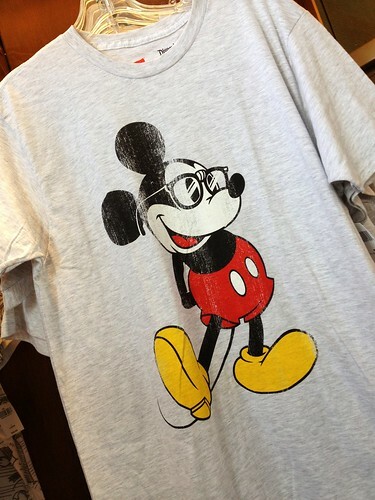 Hipster Mickey, originally uploaded by Erin *~*~*. 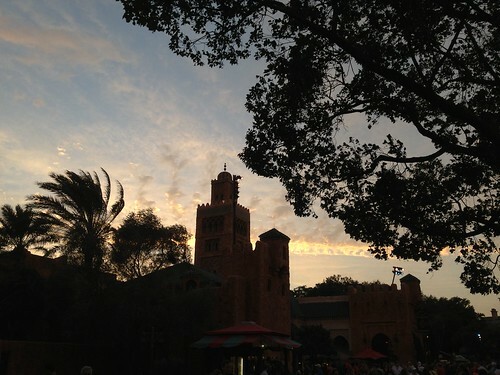 Met more friends up at the African Outpost and walked them down front. Cooling of in a shop, then heading to Festival Center. It’s hella HOT – I may require a Mickey Bar. 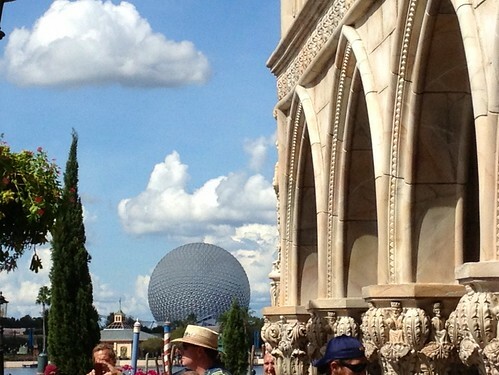 Waiting on a friend in EPCOT’s Italy, originally uploaded by Erin *~*~*. 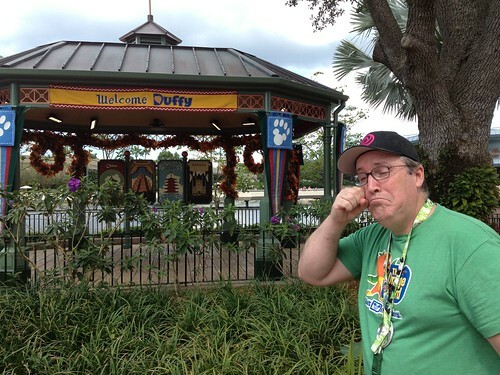 I know lots of people who are at Walt Disney World this weekend and I hope to see all if the at least once! 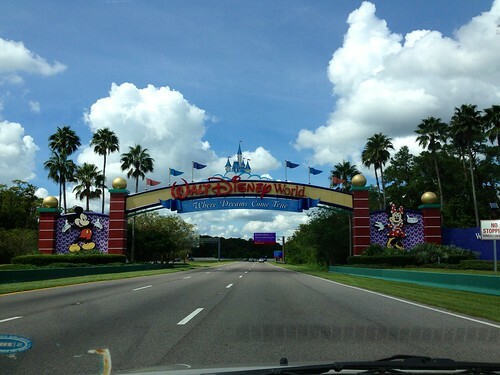 Heading to the Walt Disney World Boardwalk, originally uploaded by Erin *~*~*. 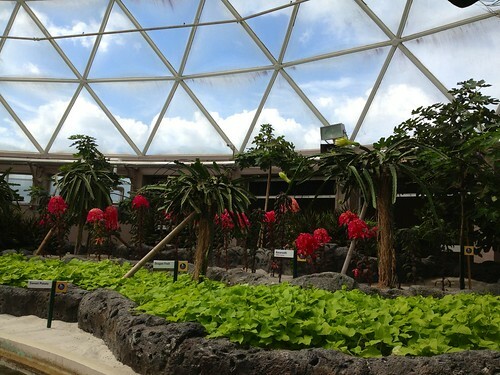 Oasis at the Walt Disney World Swan, originally uploaded by Erin *~*~*. 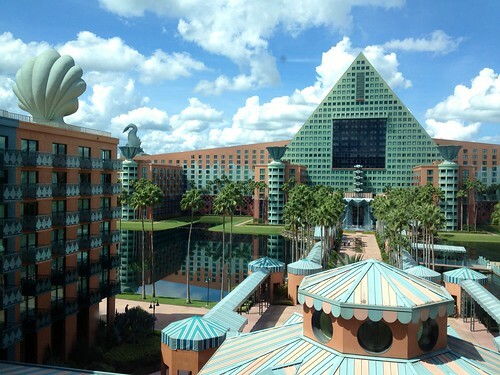 I have fond memories of taking refuge in the Swan’s courtyards to get some work done during a conference. So relaxing! 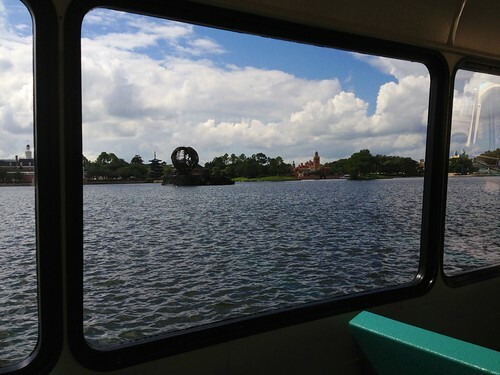 View from the Walt Disney World Swan, originally uploaded by Erin *~*~*. 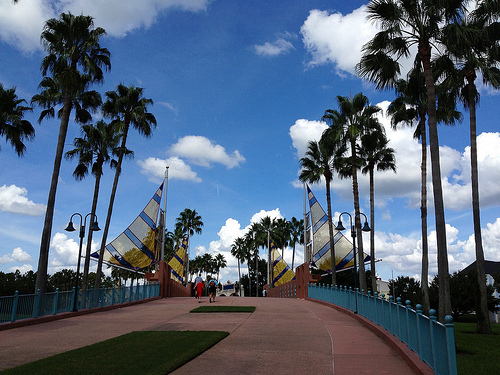 I am going to chill and catch some lunch, then head into EPCOT to find the gang. Stay tuned! I have arrived in Walt Disney World, originally uploaded by Erin *~*~*. I took a side trip to Banana Republic, where I got a FREE dress to wear to my niece’s Sweet 16. 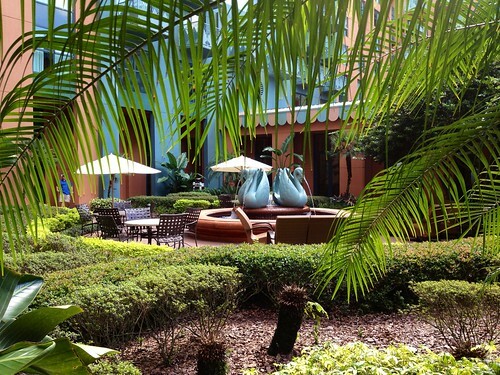 Now I am finally on property at Walt Disney World – wheeee! Road trip? Guess where I’m going? Road trip? Guess where I’m going?, originally uploaded by Erin *~*~*. 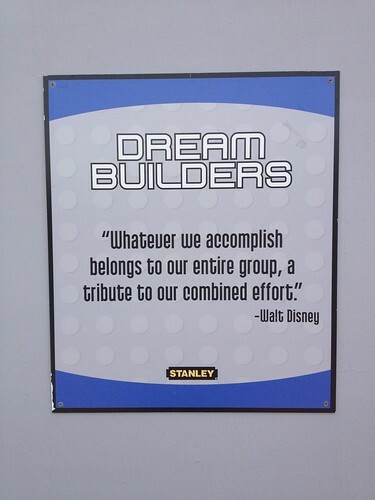 There’s a hint in the photo…. Tell Me What To Taste! 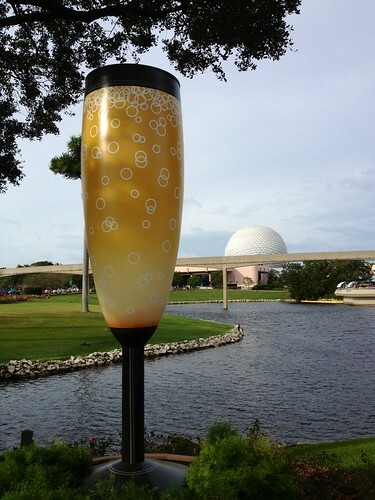 At Disney’s Food and Wine Festival! Coming Soon: Next Trip to Orlando! I am scheduled to visit Orlando at the end of the month. I’ll be going to Universal for sure to see Harry Potter with some old friends from New York. 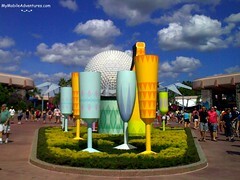 Plan to stop by the EPCOT International Food and Wine Festival as well. 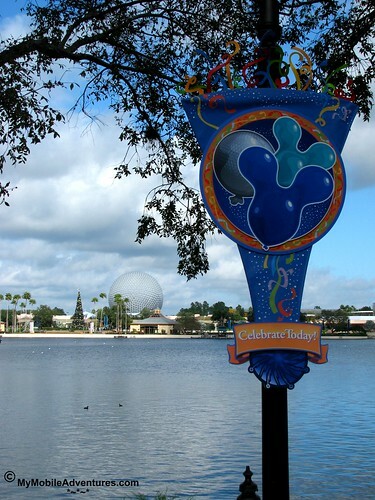 Now that Disney has launched a new advertising campaign, I suppose these “Celebrate Today” banners will be gone. I wonder what will be in their place? Stay tuned! 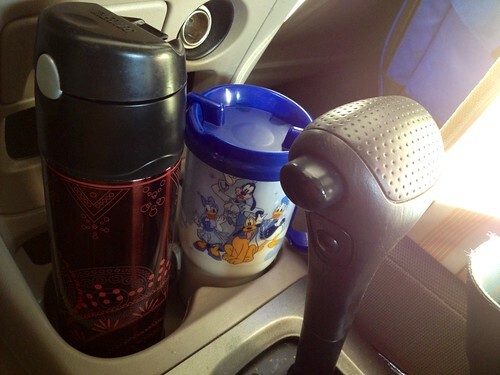 Love finding Disney in unexpected places, too, originally uploaded by Tink*~*~*. 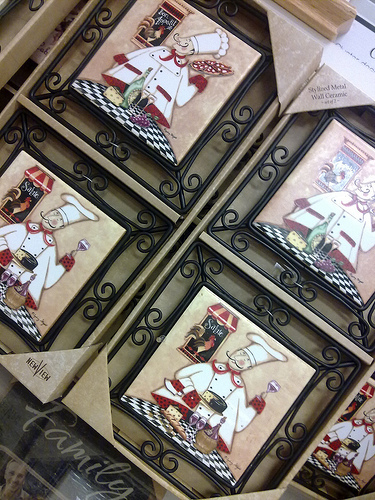 pretty sure this chef dude was on lots of the merchandise for the EPCOT Food and Wine Festival last year. Found in Kohl’s D on sale!